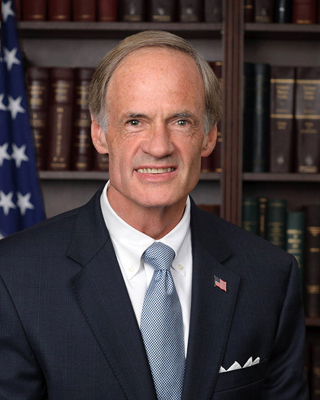 U.S. Sen. Tom Carper (D-DE) on Monday commended the Environmental Protection Agency's (EPA) new Clean Power Plan, which would attempt to cut carbon emissions from power plants by approximately 32 percent by 2030. Carper said the Clean Power Plan would eliminate emissions equivalent to 150 million vehicles and would potentially save family energy costs by approximately $85 on an annual basis. "Through unprecedented outreach – the Environmental Protection Agency (EPA) has made changes to the original proposal, not only to build on what states are already doing, but also to do so in a more cost-effective way than originally proposed," Carper said. "I am especially happy to see changes to the Clean Power Plan that allow early-action states, like Delaware, and nuclear power be treated more equitably in the rule. After working for more than a decade on legislative efforts to reduce carbon emissions from power plants, I applaud EPA’s decision to set carbon targets that are both meaningful and feasible." Carper said the rule's opponents have argued that pursuing cleaner energy will come at the cost of economic growth, but Carper said climate change has been identified by the Government Accountability Office as "one of the biggest fiscal risks facing our country."